Could the launch of Windows 10 break the Internet? Frost & Sullivan analyst warns that Windows 10 launch frenzy could 'break the Internet'. At the time of publication, Internet is not broken. There is a debate taking place as to whether Microsoft’s launch of Windows 10 could ‘break the Internet’. 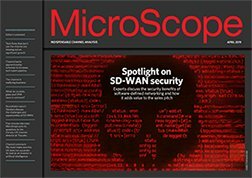 The term ‘break the Internet’ is usually reserved for the likes of Kim Kardashian’s derrière or Taylor Swift wearing a t-shirt with words printed on it; but according to Frost & Sullivan analyst Dan Rayburn, the threat that Windows 10 poses to the web is greater than both Kim and Taylor… combined. According to Rayburn’s sources, Microsoft has reserved up to 40Tbps of capacity the third-party content delivery networks (CDNs) that it is using to distribute the flagship operating system. This, the analyst says, is a big deal. Windows 10, which is available as a free upgrade to all Windows 7, Windows 8 and Windows 8.1 users, officially launched today. Microsoft estimates that there are 1.5bn Windows users worldwide; and according to NetMarketShare, Windows accounts for some 91% of all desktop operating systems being used today. Of those, roughly 77% fall into the Windows 7/8/8.1 camps. Using both sources and a bit of back-of-the-envelope arithmetic, we can assume that there are roughly 1.15bn users eligible for the free upgrade. Microsoft has therefore been faced with the mammoth task of trying to estimate initial interest levels in the new OS, and designing a launch strategy that does not turn into one of the year’s biggest PR disasters. It has taken a series of precautions in order to ensure this doesn’t happen. For a start, users have been able to register their interest for some time via notifications in the taskbar. This was a shrewd move on Microsoft’s part, because it was not only a solid litmus test for interest levels, but those that reserved an upgrade have already been pushed a considerable chunk of the OS in the background (if you didn’t know about this, that’s what you get for not reading your Ts&Cs). All that is left is for Microsoft to give the green light to users, which it is doing in a time-allotted phased approach. The Redmond firm has also removed the large ISO files, often used by advanced users to create installation media, from its website and instead redirected users to its ‘Media Creation Tool’. Windows 10 was available to the Insider Programme users the day before the launch and came in the form of a final build. But even with the staggered approach that Microsoft has adopted, Rayburn believes that Quality of Service (QoS) will suffer. Ironically, at the time of writing, the Windows 10 roll out seemed to be going relatively smoothly, while Dan Rayburn’s personal website was down.